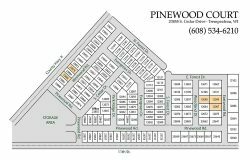 We have high quality new and used manufactured homes for sale here at Pinewood Court. These homes are appraised and offered for sale on location in our manufactured housing community. Click on the links below to see the current new and used homes that we have for sale in beautiful Trempealeau, Wisconsin!